The iHealth Wireless Activity and Sleep Tracker is a device that tracks your daily activity and sleep. It uses Bluetooth 4.0 with low energy techonology and is sweat, rain and splash proof. Each Tracker comes with two color options for wristbands and waist clips. This Tracker, along with the free iHealth MyVitals app, can keep you motivated and help you stay on track to a more active and healthier lifestyle. iHealth free integrated mobile app brings all of iHealth products to life. Once you have downloaded it from the app store, you can customize it for the products you use. We’ve made it easy to set goals, track your progress and get inspired to manage your personal health in a more hands-on way, wherever you go. 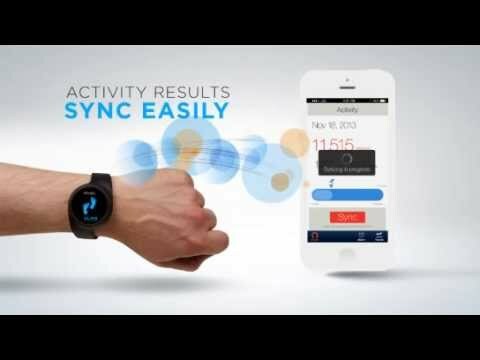 What iOS devices are iHealth Wireless Activity & Sleep Tracker compatible? The iHealth Activity and Sleep Tracker is optimized for walking, running, and everyday lifestyle activities. It gives you an idea of how active you are, in general, by tracking total activity throughout the day and calories burned from your activities. It also tracks your sleep patterns and helps you get a closer look at your sleep efficiency over time. The Tracker works with the free iHealth MyVitals app, which has personalized health tools to help you get the most out of your data and better manage your health goals. The Tracker can be worn one of two ways: on your wrist, or on your waist with the clip provided. When wearing on your waist, always use the clip provided, as the clip will trigger the Tracker to switch from ''wrist tracking'' to ''waist tracking'', for maximum tracking accuracy.